A lot of fishermen trade their dreams of catching a trophy-sized trout for the easier goal of catching a limit of eatin'-size rainbows. But the big fish hunter is only one cast away from the trout of a lifetime. Early in the season, soon after the ice comes off the lake, the trout bite can turn on like at no other time of the year. Rick Rockholt at Diamond Lake Resort has watched the phenomenon for years. "What happens is when the water hits 42 degrees the density of the ice changes and it sinks first, then melts. Ten days to two weeks after the melt, then the lake will turn over. Once the water starts clearing again, the fish go on a feeding spree and this is the best time in the spring to catch the big fish." One of the best early season baits, Rockholt says, is a nightcrawler because it mimics the leeches resident in the lake. "The fish absolutely start gorging on leeches until the bugs start to hatch." For the fly-fisherman, Rockholt says the best bet is a woolly bugger or a seal bugger in dark brown and dark olive with an overall length of about three inches. Last year, Diamond's biggest trout weighed in at 9 pounds, 4 ounces and fell to a youngster named Jarod Beal from Medford. Someone will catch a bigger fish this year. Two more places to prospect for predatory trout early in the season are Crane Prairie and Wickiup reservoirs where the rainbows and browns make a living on small fry and kokanee. Because they haven't seen any pressure since last October, big fish are most vulnerable during the first week of the season. Consider the local food source. In some waters, the fish target two-inch minnows, while in other lakes, bigger fish are on the menu. Tailor your bait to the bite. Trout will eat baitfish up to one-third their own size. When you chase fish that are 24 inches and bigger, don't be afraid to use an eight-inch kokanee imitation. 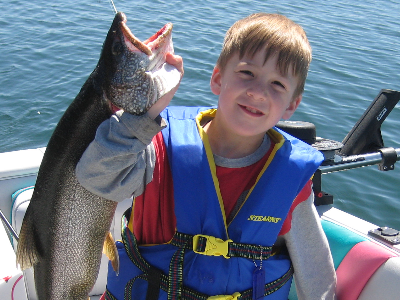 Paulina Lake and East Lake are two of the better lakes to fish for big brown trout. Here, in the Newberry Crater, kokanee, hatchery rainbows, Atlantic salmon and tui chub are on the menu. Broken back floating Rapalas work well in rainbow, brown, silver and golden finishes, but a better choice is a suspending lure. Cast it, crank it, then pause and twitch it, just don't reel it in. At Lake Billy Chinook, the bull trout average 18 inches up to 10 pounds. Every year, fish in the low teens are caught. Again, the best fishing is in late April and early May while bulls are still chasing kokanee close to the surface. Cast or twitch-troll big stick baits or flashy beadhead streamers. Perhaps the biggest trout of all reside in Odell Lake and Crescent Lake at the crest of the Cascades. With a tremendous food base of kokanee, both Odell and Crescent harbor lake trout that can tip the scales at 20 pounds or more. Early in the season, lake trout (and big rainbows) are close to the edges, chasing bait in the shallows. John McDevitt, the manager at Odell Lake Resort, caught his first mackinaw of the year on opening day. "A lot of guys were jigging for kokanee early in the season and they were catching macks on their jigs. We had a guy catch a 32-incher on a kokanee rod and it was just ten feet under the boat when it hit." One of the keys to success is spending time on the water. On the big water of Odell and Crescent, location is important. It helps to go the first time with a guide or a fisherman who knows the lake. 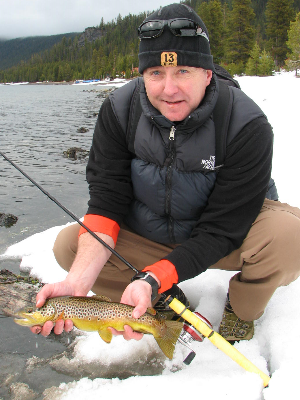 Jon Ditgen is the owner of Odell Lake Resort and an avid angler. Early in the season he sees a lot of rainbows caught off the docks. "The most underrated thing on this lake is the rainbow trout fishing," Ditgen said. 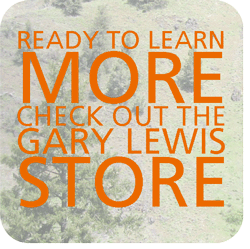 "You can get them early in the season when they are in the shallows. It is a good time to catch them on flies." According to Ditgen, over the last few years, anglers have caught several 28- and 29-inch rainbows right after opening day. Big trout, the kind of fish that are measured in pounds, not inches, don’t come easy. Few live long enough to make it to the 20-inch mark. Maybe one in a thousand. Maybe one in ten thousand make it to 25 inches and beyond, developing the substantial girth that can tip the scales into the double digits. When you fish our best lakes and target the biggest fish, that trophy fish is only one cast away.